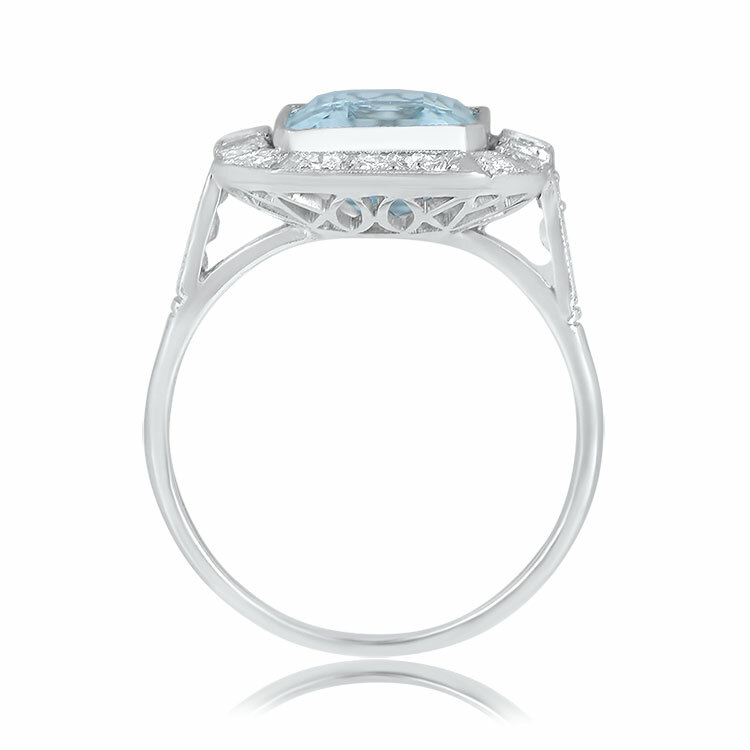 A beautiful aquamarine and diamond engagement ring, adorned with approximately 1 carat of diamonds. 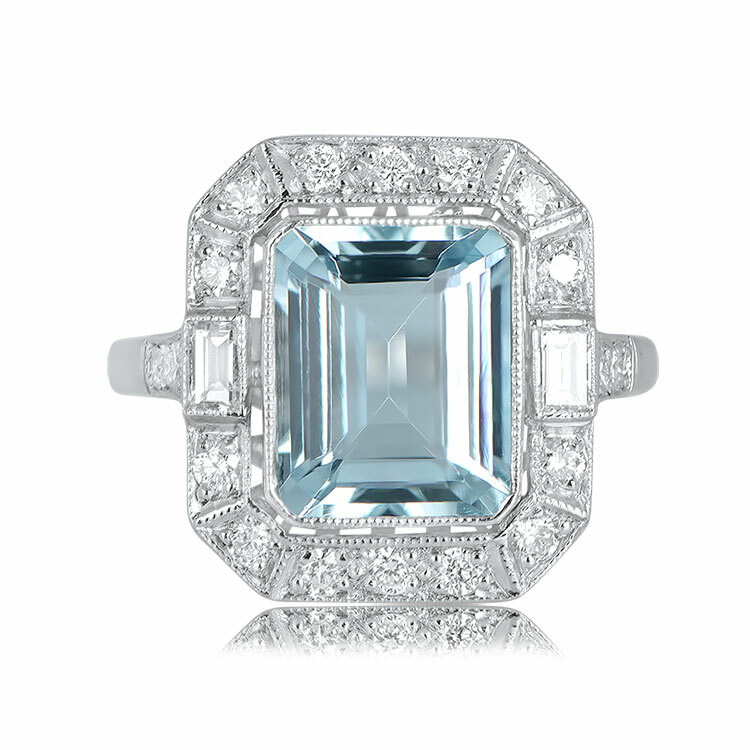 The center aquamarine is an emerald cut and is bezel set between a halo of diamonds. Two baguette cut diamonds flank the center stone and six diamonds decorate the shoulders. Openwork filigree grace the gallery of this handcrafted platinum mounting. 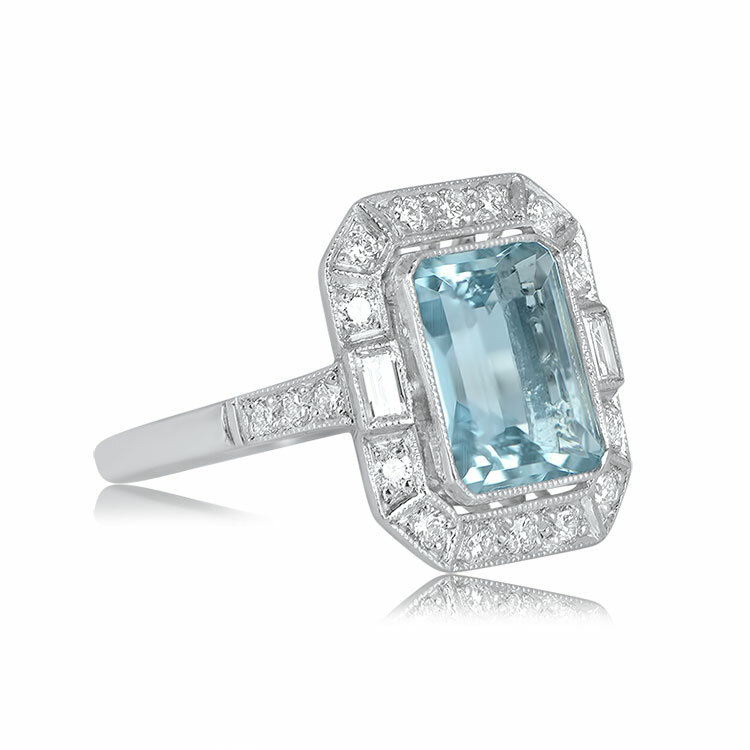 The aquamarine weighs approximately 3 carats. 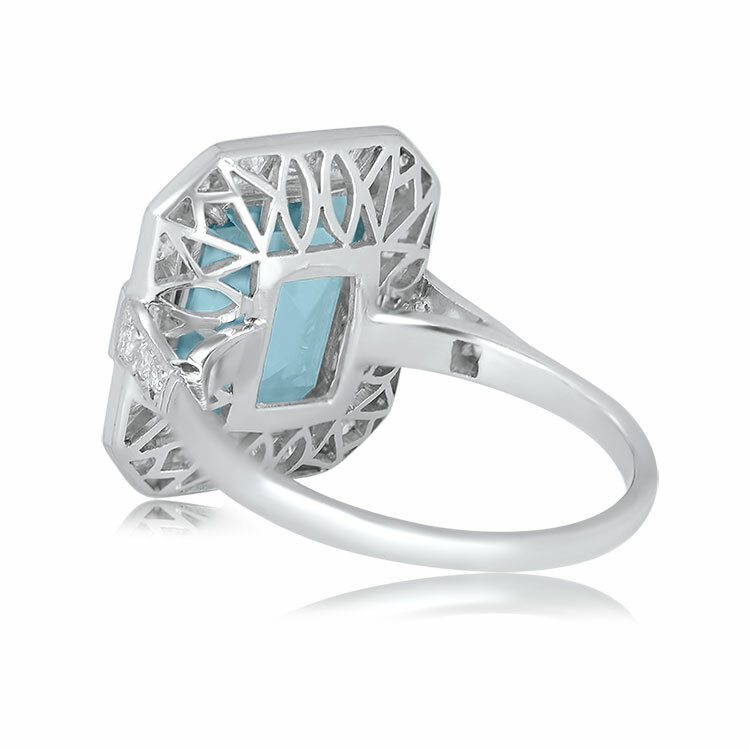 This ring has approximately 1 carat in diamonds. The measurements of the aquamarine 10.10mm x 8.19mm x 5.14mm. 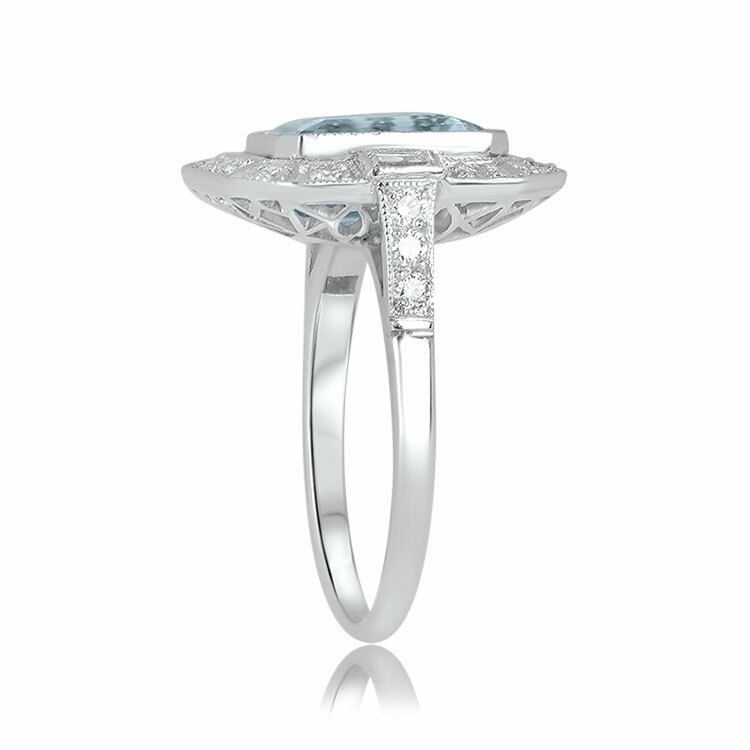 The measurements of the ring with the diamond halo is 16.14mm x 14.78mm. 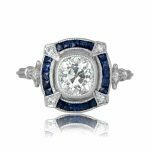 This ring is currently size 6.75 and can be resized at no extra cost. 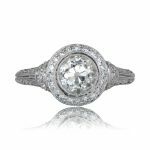 SKU: 12058 Categories: Aquamarine Engagement Rings, Vintage Engagement Rings - Contact us and request additional pictures.